Like a classic inkblot test, abstract images can reveal noteworthy details about your personality and the way you think. While you might describe yourself as withdrawn, shy, and cautious, perhaps there is a ferocious predator lurking behind your quiet nature. You can find out exactly what hidden personality traits you have by taking this abstract image assessment. Look at the image, then scroll down for your customized personality analysis. What did you see first? Remember to be honest! It will produce the best results! If this is you, you’re a charismatic person! You are willing to sacrifice for the needs of others in your group. And you are aware of the fact that together, you are all stronger. You use your anonymity to your advantage, employing it to achieve your goals. However, as an individual, you falter. This is where you lack will-power. Remain mindful of that fact. You have an enormous ego and you know it! You have no qualms about pursuing your prey without much regard for others, and when you catch it, you devour it sans mercy. While your individual strength is impressive, it does have one weakness. You grow weary easily and you fall short, but you find it difficult to work on a team. If the bird is what you saw first, this means you have a remarkable sense for detail. It is likely you are a perfectionist, at least in one area of your life. You are a fair, objective person, and you strive to live a good life. Wow! Look at you! 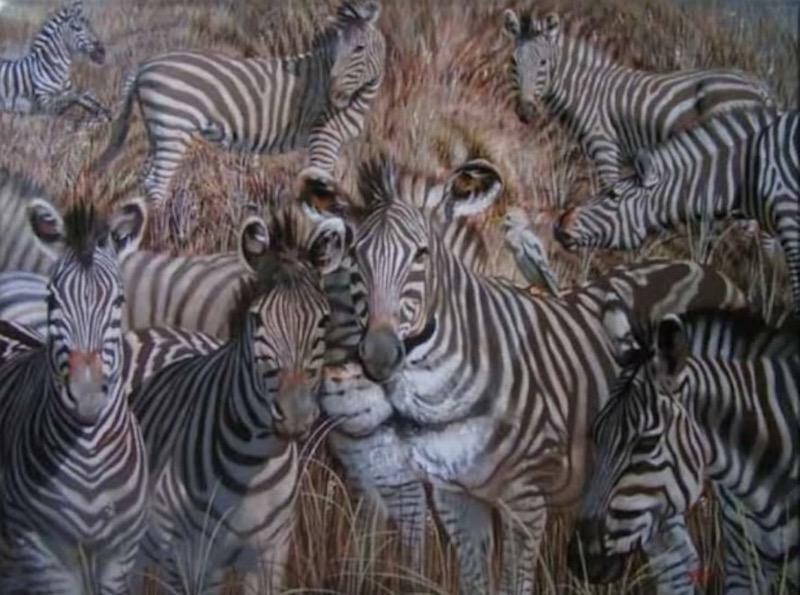 Did you know that only 5% of people saw both the lion and zebras at the same time? This means that you’re one of the few who can, in certain circumstances, be both a lion and the zebra. What a powerful dynamic ability! This makes you a force to be reckoned with, as you are not only a ruthless predator but also a fantastic leader.